Home / Blog / Some bug bites do more than make you itch. When to call the doctor. Some bug bites do more than make you itch. When to call the doctor. Sitting on a beach, drinking something with a little umbrella in it, hearing nothing but the sounds of waves lapping at the shore. That is what I visualize when I think of summer vacation. 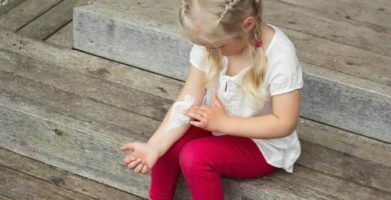 Not itching, swelling, scratching or worrying about whether or not we need a doctor. As a mom of four, spending time outside during the summer is non-negotiable, and it’s never quiet enough to hear waves on the shore. Kids never pay attention to the little things, like a fire ant mound near the playground. Most of the time, these things are just a harmless annoyance, but in some cases, they can be more serious. What bugs are biting this summer? When you can’t stop scratching and you’re looking for a specific target to blame for your pain, the usual suspects are a good place to start. 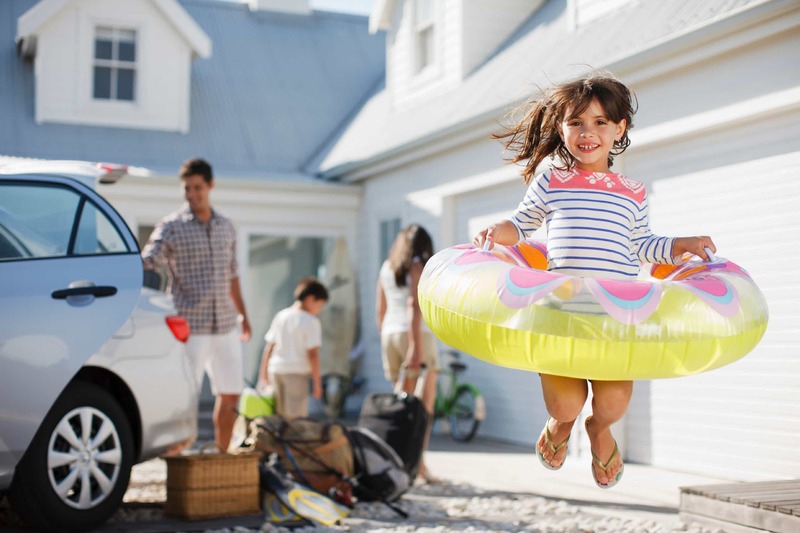 Look out for mosquitoes anytime you are outside, especially if you are near water. 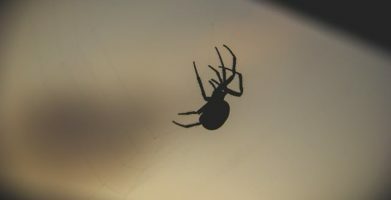 Spiders, ants, and stinging insects only bother a person who disturbs their nest, their food, or makes them feel threatened (you may unintentionally threaten a pest by reaching your hand into a place where it is hidden, like when grabbing something out of storage). Most of the time, insects are aware of the fact that we are much bigger than they are and we are more of a threat than anything else to them. They would be happy to leave us alone if we left them, and their food sources alone. 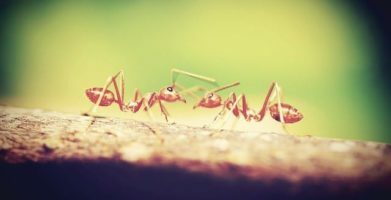 Conflict happens when ants invade your kitchen, or wasps are attracted to your can of soda at an outdoor party. Insects that feed off of blood, like mosquitoes and ticks, can be a serious problem. Ticks wait patiently in tall grass and brush for a person or animal to walk by and then they “quest” onto a host — ticks cannot jump out of a tree or fly onto a person, but they will climb onto you if you come into contact with grass or leaves they are hiding in. Mosquitoes find people to bite by following the smell of the carbon dioxide you exhale when breathing. 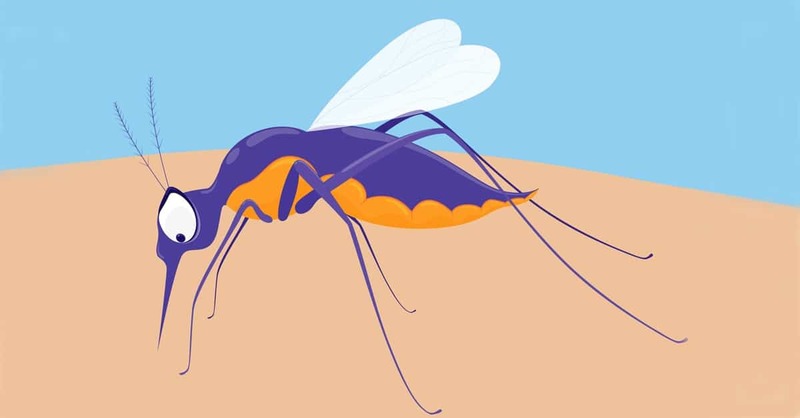 Mosquitoes are more attracted to dark colors and people who have been exercising — this is because you exhale even more carbon dioxide when you’re exercising, and because of the lactic acid in your sweat. A raised, red bump at the sight of a bite is a normal response. Itching and temporary or minor swelling are also typical and no cause for concern. In most cases, symptoms disappear within a few days and no medical attention is needed. Natural relief and pest prevention tips. Next time you plan on spending time outdoors, remember to wear light colors and cover up as much skin as possible. Use a natural outdoor insect repellent containing lemon eucalyptus oil and avoid areas with standing water or dense vegetation. 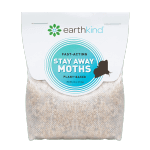 Make sure your home is pest free by using earthkind®’s line of natural pest prevention pouches, Stay Away®. You can use them in any enclosed space, such as in your camper, or even in your backpack to protect your stuff from pests while you’re away. Keeping ants, spiders, and other household pests away has never been easier! Instead of running to the drug store, you can find natural alternatives in your kitchen or garden. Cucumber, basil, and peppermint can all soothe the hot feeling that may accompany a sting or bite and help relieve the itch. Honey, neem oil, and tea tree oil all have healing properties and will help fight infection. Aloe Vera is also beneficial for your skin. Insects that feed off of blood, like mosquitoes and ticks, can be a serious problem. Ticks wait patiently in tall grass and brush for a person or animal to walk by and then they “quest” onto a host -- ticks cannot jump out of a tree or fly onto a person, but they will climb onto you if you come into contact with grass or leaves they are hiding in. Mosquitoes find people to bite by following the smell of the carbon dioxide you exhale when breathing. Mosquitoes are more attracted to dark colors and people who have been exercising -- this is because you exhale even more carbon dioxide when you’re exercising, and because of the lactic acid in your sweat. Next time you plan on spending time outdoors, remember to wear light colors and cover up as much skin as possible. Use a natural outdoor insect repellent containing lemon eucalyptus oil and avoid areas with standing water or dense vegetation. 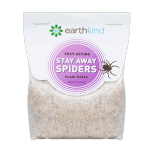 Make sure your home is pest free by using earthkind®’s line of natural pest prevention pouches, Stay Away®. You can use them in any enclosed space, such as in your camper, or even in your backpack to protect your stuff from pests while you’re away. 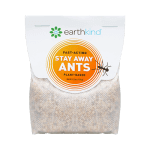 Keeping ants, spiders, and other household pests away has never been easier! Instead of running to the drug store, you can find natural alternatives in your kitchen or garden. Cucumber, basil, and peppermint can all soothe the hot feeling that may accompany a sting or bite and help relieve the itch. Honey, neem oil, and tea tree oil all have healing properties and will help fight infection. Aloe Vera is also beneficial for your skin. string(67) "Some bug bites do more than make you itch. When to call the doctor."